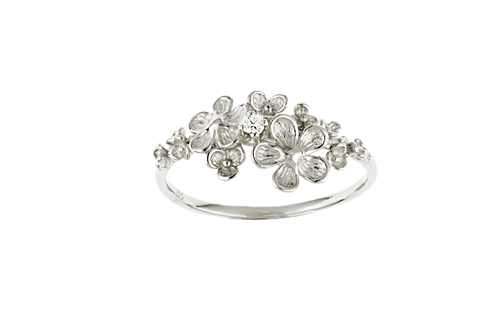 A super cute 14kt white gold flower ring with one round diamond, total weight .03 carat. Also available in 14kt rose and yellow gold. Please indicate under comments your preference and finger size.